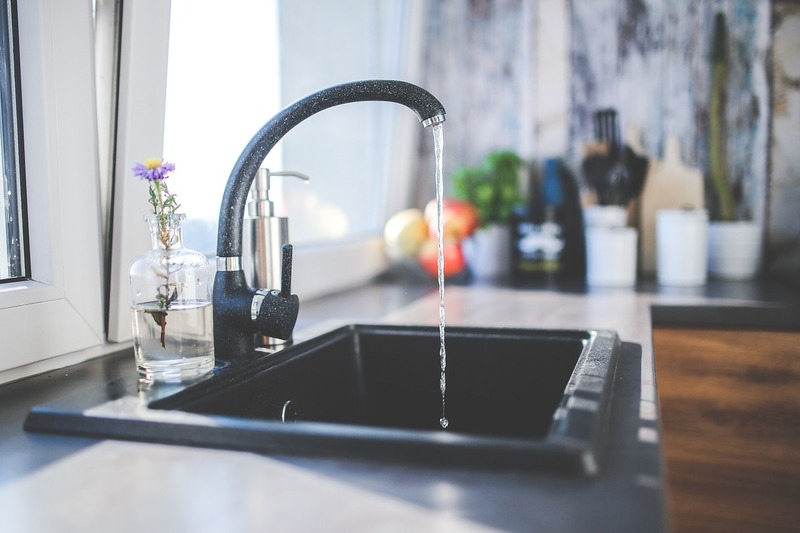 Do you know how to maintain your home plumbing? A few simple steps can save you enormous amounts of time and money. Here are five tips you need to know. Owning a home is a lot of responsibility, and you need to make sure that you keep up with it. Unfortunately, if you don’t, you could end up in trouble. An untended home can make you sick and cost you enormous amounts of money. While your usual maintenance does cost a little bit of time and money, it’s worth it in the end because you save a lot more than you ever spend. 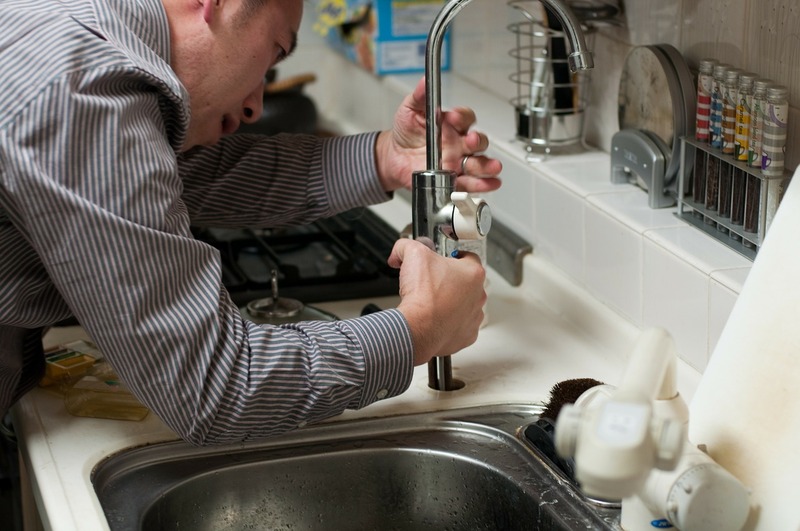 Wondering what it takes to keep your home plumbing in top shape? 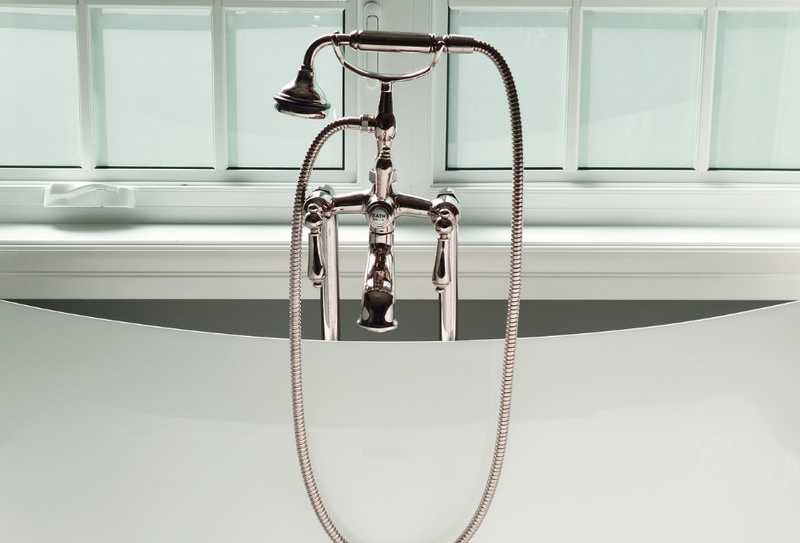 Here are five plumbing tips that will help you keep everything flowing smoothly. Your drains take wastewater, sewage, and odors away from your home. If you don’t maintain them, though, they will send all of that material into your home. The best way to keep your drains in order is to work with plumbers in Richmond Hill to have an annual plumbing inspection. They can see what problems are starting to form and take care of it before it becomes a big deal. If you notice slow drains, you probably have a clog that needs attention. You can prevent clogs with mesh drain covers, but once you have one you’ll need to treat it right away. Otherwise, it can build up and cause blockages, cracks, and leaks. Leaks can come in a drip or in a pour, and both are dangerous. In fact, drips go unnoticed longer, which can cause even more damage than an obvious crack in a pipe. How can you tell if you have a leak? You may be able to hear it, even behind a wall. You can also notice dark spots on the walls or ceilings near where a leak is happening. If you notice mould or odour, that’s another sign. To find and repair leaks quickly, check for water, rust, and mould near plumbing fixtures regularly. Look under the sinks, in the basement, and near the water heater. If you notice anything, contact a plumber to fix the issue right away. Be careful when drilling holes or using nails in your walls – it’s vital to make sure you don’t puncture any pipes in the process. Your toilet should be used only for human waste and toilet paper. Never use your toilet to dispose of any other waste. People are sometimes tempted to flush hair, sanitary products, paper towels, or a variety of other types of trash down the toilet. If you do that, you’ll risk clogging the toilet and causing serious problems with your sewage system. Even “flushable wipes” that are advertised as being toilet safe can cause backups in your system. Your water heater does a lot to keep things comfortable in your home. Without hot water, you don’t have warm showers, clean clothes, or shiny dishes. However, if your water heater is not properly maintained, it can cause significant damage to your house as well. Wonder how to take care of a water heater? You should have it inspected and maintained annually during your plumbing checkup. However, there are things to do yourself as well. First, lower the temperature a bit. If you keep it near 49°C, you’ll save a lot of money on energy costs. Plus, you’ll lower the chance of scalding yourself when using hot water. Secondly, work to remove sediment a few times a year. You can do this by draining about 25% of the tank into a bucket – until the water runs clear. This will not only help keep things clean and extend the life of your water heater, it will help the unit run more quietly. Finally, check the anode rod every few years. You need to replace the rod if it’s less than 8cm long, coated with calcium, or has more than 15cm of core steel wire exposed. Some minor repairs can be easy to handle on your own. However, there are mistakes you can make as well. To avoid damaging your plumbing more than you help it, follow these tips. Avoid overtightening the joints when you install plumbing in your home. This can result in broken bolts and stripped screws. Just stick with hand-tightening with the help of some plumbing tape. Remember to shut off all water lines before you begin a project. It seems obvious but you’d be surprised how many homeowners forget to do it. You’ll end up with a huge mess! Finally, be sure that you match up your piping if you make any replacements. There are a wide variety of materials for pipes, and sizes can vary too. Don’t just “make it work” with tape or silicone. You’ll end up with leaks and failed pipes that cause enormous problems. If you have any doubt about your project, call in a professional plumber. It pays to have things done correctly! You can talk to silicone wedding ring brands and ask to be an affiliate. That means you’ll be selling their products on their behalf and getting a percentage of the sales as commission. Some silicone wedding ring manufacturers give free silicone wedding ring coupons to their affiliates as appreciation. By becoming an affiliate, you benefit in three ways: You earn commission from silicone wedding ring sales, get free coupon codes to redeem for silicone rings of your liking and sharpen your skills as an affiliate marketer. Modeling is one of the fastest rising careers in this day and age. Because of advancements in technology, many businesses have gone online. And for brands to sell online, they must display high-quality images of their products. And statistics show that images of people wearing the products sell faster than displaying product images alone. It’s no wonder that brands are hiring models to showcase their products these days. Some silicon wedding ring brands give free coupons to their models as payment for services rendered or an appreciation for bringing in more sales. You can leverage this opportunity to get silicon wedding ring coupons for free. Some silicone wedding ring brands extend offers to customers whereby if you buy a certain amount of products, you get the given number of silicon wedding rings for free. If you do not have the required amount of cash to buy in bulk, you can request your family member or friend to jump into the purchase and share the benefits. Many silicone ring companies have benefited a lot by issuing coupons. In fact, the impact of coupons on Groove Life has been well documented because they offer coupons on silicone wedding rings with a lifetime warranty. You could cut back on your wedding ring expenses or get free silicone wedding ring coupons by leveraging the tips above. With the price of dental treatments continually rising, many people struggle with finding money to pay the bill. Therefore, knowing how to budget your money can make a huge difference and mean that you are financially prepared should you need to visit the dentist. Here are a few ways to budget for dental care. If you follow a good oral hygiene routine, it’s likely that trips to the dentist will be few and far between. However, not looking after your teeth and gums can have severe consequences, meaning you may have to fork out tons of money for treatment. 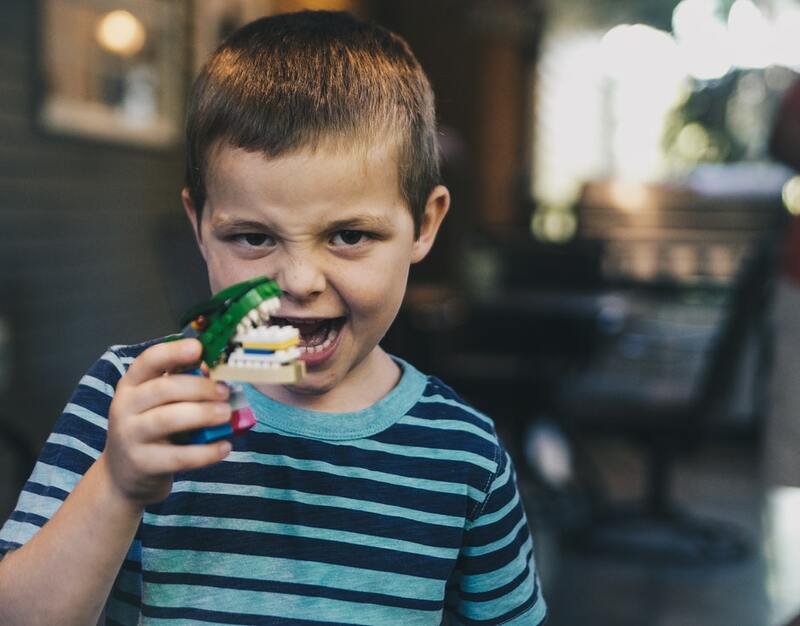 There are all sorts of ways to maintain strong and healthy teeth, such as brushing twice a day, flossing between the teeth, as well as avoiding sugary and acidic foods. Regular trips to the dentist can be a huge financial burden, so keeping a close eye on your oral hygiene can make a huge difference. It’s important to check your coverage before visiting the dentist. Some companies don’t provide dental insurance, therefore, make sure to find out what sort of coverage you can receive. If you need to have dental implants, be sure to check out the Dr. Suzanne Caudry website, where you can find more information on insurance coverage, as well as what the procedure entails. Don’t hesitate to ask any questions, as you will want to know where you stand, helping you feel more in control of your finances. Before you have any dental treatment done, you should look into your dental plan to find out what benefits you can receive. Asking your dentist for estimations on how much the treatment will cost can help you make better-informed choices about the treatment you are getting. Your dentist will be able to take you through the services that they offer, as well as what is and isn’t included in your plan. The last thing you want is to visit your dentist, have treatment, and find out you are not covered for it. Picking the right dentist for you can be another great way to keep costs down. If you are nervous about going to the dentist, you may cancel your appointment at the last minute. With many dentists charging cancellation fees, the cost can soon add up, so it’s essential that you find an establishment where you feel comfortable and relaxed. Make sure to have a look at the local dentist practices in your area and read patient reviews, so you can get a better idea of whether they’re right for you. It’s also worth asking your friends and family about where they get their dental treatment. Having first-hand opinions will save you time and potentially money too. Maintaining a good oral hygiene routine will ensure your teeth and gums are strong and healthy, meaning you don’t have to visit the dentist as much. Finding a dentist who has your best interests at heart can go a long way, especially as they can advise you further on dental plans, insurance coverage. and more. Being in the know about dental care can help keep the costs down and keep you in control of your finances. Being a mom is a hard job. We often feel as though we are being pulled in dozens of different directions all at once, and it can seem like, no matter what we do and what choices we make, someone is judging and telling us it was the wrong decision. It can lead to unhappiness, and that is a shame. Being a parent is such a wonderful thing that letting others dictate your own happiness means you miss out on the enjoyment of being a mom. Therefore, it needs to stop, and here are some excellent ways you can be a happy mom, enjoy your children, and forget about everyone else. 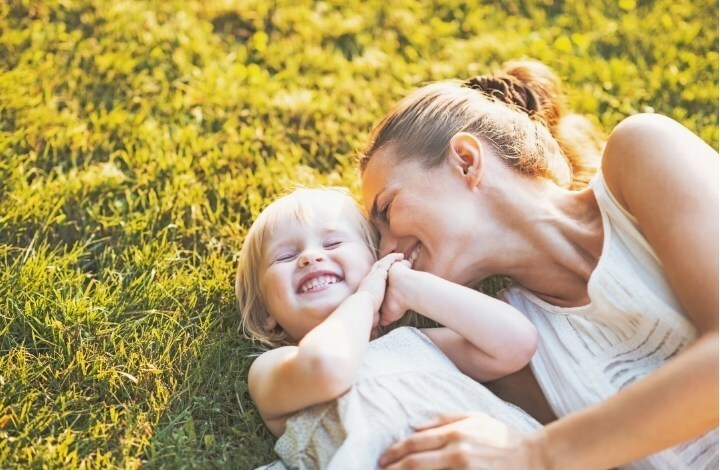 Motherhood is a balancing act between being with your children and taking time to be by yourself, between working and staying at home, between being ‘you’ and being ‘mom,’ and much more. What works for one person in terms of balance might not work for another, which is why it is essential you work out your own ideal balance and stick with it. You might choose to work full time, part time, or not at all, for example. No matter which you choose, you will have your reasons, and you will work out your own happiness from it. Don’t listen to anyone else about this; you need to do what’s best for you and for your family. As time goes on, you can easily make adjustments depending on where you feel you are needed most, so remember that nothing is set in stone and you can change anything that needs to be changed. We often strive for perfection, but when it comes to parenting (and almost anything else in life), perfect doesn’t exist. It’s essential to keep this in mind and know that loving your children and being loved back is what counts. If you have this, whatever else you do will be good enough, and good enough is something to strive for rather than perfection. If you keep searching for perfection, you won’t be a happy mom because you will be looking for something that you can’t find and missing out on the fun that good times that you could be having with your children. They don’t care if you or whatever you are trying to do is perfect as long as you are there with them. When you become a mom, it is overwhelming and all-consuming, no matter how many times you do it. Yet it is important not to forget yourself in the midst of it all. It might not be possible, to begin with, but over time you must do things that are just for you. Go out with friends, learn more about fashion and go shopping for new clothes, take an art class, go for a walk, try new things or go back and do things you did before the children were born. Although it’s crucial to be a good parent and not to neglect your children, you also need to be yourself and do things that you enjoy to make you happy. This is another example of balance and a significant one. Being a mom is important, but it’s not everything you are, and having hobbies and interests is vital to your happiness and health. It can be extremely easy to neglect your own needs when you are so focused on caring for your children, but this is a bad idea. If you aren’t looking after yourself, you won’t be happy, and you might not be healthy, and that means you won’t be able to care for your children in the best possible way. Taking the time for some self-care now and then will make you a better parent, and a happier one. You will be the parent that your children need, and that’s what everyone wants. It might be that you need five minutes’ peace now and then and you shut the bedroom door to get it. It might be that you take up a hobby or interest as mentioned above. Perhaps you want to get away for longer with your friends, and you take a weekend or a week away somewhere. You’ll feel better for it afterward, and you never feel guilty for taking the time to make yourself feel better either. It seems that human beings have always compared themselves to other people, but with the advent of social media, this has become easier and easier. Now we can see what other people’s lives are like 24/7, and it can be a worrying thing, especially when we look at our own lives and don’t feel they measure up. Social media is not real life. People only tend to post the very best parts of their lives there to show that everything is good and they are happy. You may even do the same. People don’t tend to post anything about a tedious day, or a day when nothing much happened, for example. You should always take anything posted on social media with a pinch of salt, and never compare anything you see to your own life. Everyone struggles, everyone has bad days, and you are not the only one who doesn’t have all the answers. Comparing your life to other people’s will make you unhappy, so it’s best not to worry about anyone else and concentrate on making your life as good as possible for you and your children. You may have a lot to do, and especially when you have young children that list can seem endless. Instead of trying to race through everything and cause yourself stress, which will be reflected in your children, take a moment to slow down. At the start of each day work out what needs to be done and what can wait. You might want to clean the house, for example, but what if that means you miss out on a sunny day when you could be enjoying the yard or the park? What will mean more when you look back at your kids’ childhood? Do what needs to be done, even if it means other things have to be left until later. It’s far more important to be happy than anything else.